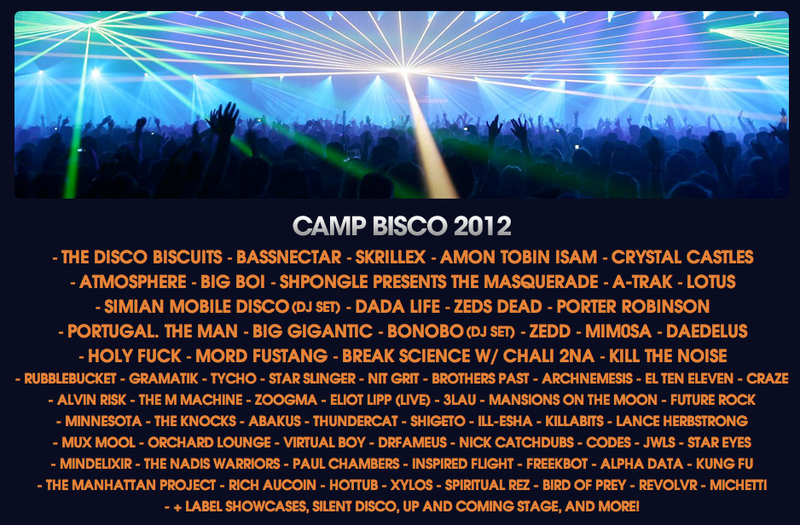 This year’s Camp Bisco lineup was officially released today. Topping the bill is three big headliners: The Disco Biscuits (with their first shows since Holidaze), Bassnectar, and Skrillex. As Marc Brownstein said on Facebook, “the lineup is deep“, and there really are a ton of great mid-sized and smaller names on the bill. To name a few exciting acts making an appearance, this year’s fest will feature Sphongle, Lotus, Brothers Past, Orchard Lounge, Future Rock, and Amon Tobin. There is, however, a significant uproar in the Biscuits community over bigger names like Skrillex and Bassnectar appearing at Camp. The complaints are two-fold: first, these large acts make the festival bigger, less intimate, and less Biscuits-centric. Second, the younger ‘bro-step’ fans that these acts bring in are generally unwelcomed by the Biscuits community. It is always hard seeing a small, unified festival blow up and embrace bigger names and other scenes, but the festival is a business, and big means more money for the promoters. Also, by adding big names like Skrillex, the festival makes it clear that it IS more than a Disco Biscuits festival, it is a premier EDM festival that can propser and go on even if the Biscuits don’t. In addition to this big news, The Disco Biscuits also announced the next Holidaze festival yesterday, which will move from January to December of this year and also move locations to Tulum, Mexico. While the month and location are changing, this year’s event will again feature The Disco Biscuits, Umphrey’s McGee, and STS9. This is big news in the Disco Biscuits community as the band had fans fearing that this year’s Camp shows would be the last from the band for some time. It still reamins to be seen if 2012 will see any other tDB shows, but one has to imagine a NYE run building on the momentum of Holidaze is likely to go down. Check out the Holidaze website for all the details. 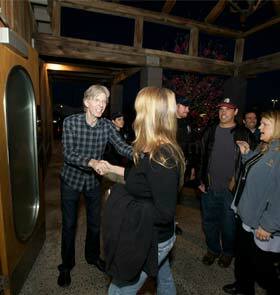 Tonight, March 17th, was the official opening night for Phil Lesh’s new Terrapin Crossroads music venue in San Rafael, CA. The opening gig featured Chris Robinson, Jeff Chimenti, Jimmy Herring, Joe Russo, Phil’s two sons — Grahame and Brian — as well as special guests Bob Weir and Jackie Greene sitting in. This is the first of a 13 show run to bust open the new venue with a bang! Rumor has it that Phil will retire from the road in the next couple of years and settle down with frequent local gigs at the new venue, following the Levon Helm ‘Ramble’ model. Warren Haynes will hit the road with his solo band for a mini-tour in April in support of his new Warren Haynes Band DVD coming up. Check out this great interview with Warren where he talks about ABB, Warren Haynes Band, Gov’t Mule, the recent Phil shows, and all things 2012. The Allman Brothers Band annual Beacon Run has kicked into high gear and runs until March 25th. This year, the band has decided to open the second set of each show with a special mini acoustic set during which they will dust off old gems and offer new acoustic takes on classic ABB songs. 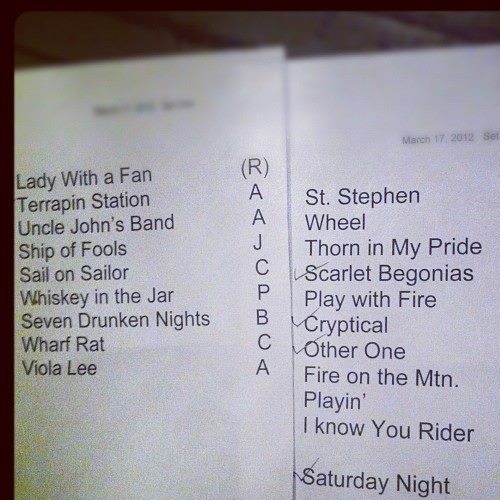 Check out this comprehensive review and setlist from Saturday night’s show. The All Good Music Festival, which is re-locating this year to Thornville, OH, just added some new artists to the growing lineup today: Yonder Mountain String Band, Conspirator, and ALO are the biggest new names to join the fest. You can check the full lineup here. 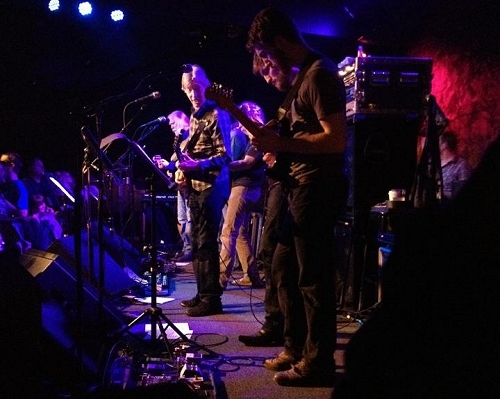 Phil Lesh opened his Terrapin Crossroads this past weekend with a series of ‘casual’ shows featuring a number of phriends such as Bob Weir, Jackie Greene, members of Railroad Earth, the Bluhms, Mark Karan, Phil’s son Grahame Lesh, and many others. Phil and Friends will have a massive run coming up from March 17th to April 1st with tons of guests. 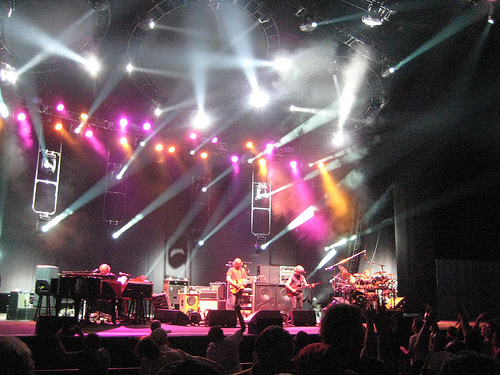 Phish Summer Tour 2012 – It’s Alive! Confirming the hacked dates from Tuesday, Phish went live with leg 1 dates for Summer Tour 2012 yesterday. Here’s the announcement vid, relevant ticket links, and list of dates. Phish Summer Tour 2012 Announcement from Phish on Vimeo. While Phish fans everywhere grow more and more inpatient waiting for summer dates, some fans are doing something about it. A Phish.com website hack discovered by a group of fans on PT has uncovered the following dates that seem very likely to be announced in the coming day/days/week. Stay tuned for an official announcement coming soon, we hope! Disclaimer: There are those that believe this is a prank, and obviously nothing is confirmed until it’s on the dot com. 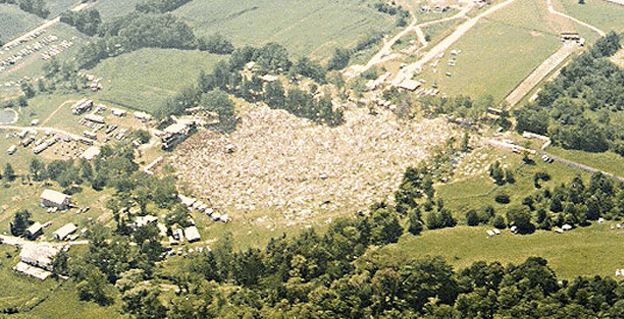 The annual All Good Festival is relocating this year to Legend Valley in Thornville, OH, a big move from its long-time home at Marvin’s Mountaintop in West Virginia. The new space is bigger, and is making room for the festival to expand its lineup in size and number of headliners to become arguably the premier jamband festival in the country. This year’s lineup features: Phil Lesh and Friends, The Allman Brothers Band, The Flaming Lips, Weir/Hornsby/Marsalis, Michael Franti & Spearhead, G.Love, Galactic, Sphongle, Mickey Hart Band and many, many, many more names. And this is just the initial lineup! Stay tuned for lots more band to be added to the bill, this is shaping up to be the fest of the summer for jamband purists. I think they’ve struck a nice mix of rock, electronic, and other sub-jam genres as well as a very generous helping of modern Grateful Dead offerings. Kudos to the promoters and organizers for their work thus far, and here’s to hoping the new location is a great success. For Phish phans, this brings great excitement as we finally have a confirmed show on the calendar to look forward to. The big question remains when will Phish grace us with the rest of the summer tour dates? My guess would be that we are still a few weeks out and that dates will likely drop in early March. So hold tight people, and here’s a highlight from Phish’s last B’roo showing to help hold you over til’ then! Electric Forest Fest Initial Lineup! 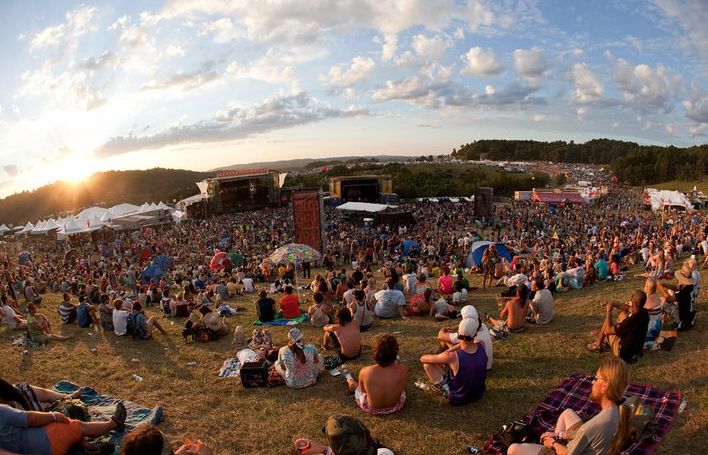 This year’s Electric Forest Festival, set to take place June 28th – July 1st in Rothbury, Michigan, announced its initial artist lineup today. The biggest names in the lineup include SCI (3 shows), STS9 (2 Shows), Ghostland Observatory, Girl Talk, and Theivery Corporation. This lineup is yet again shaping up to be a jamtronica fan’s wet deam, and one can only imagine a lot of great artists are still to be added to the bill. 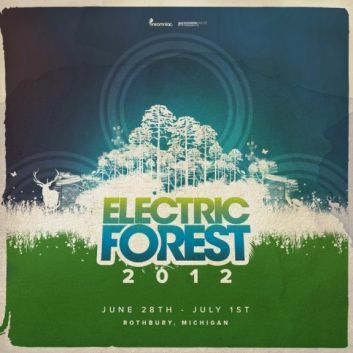 You can buy pre-sale tickets now at the Electric Forest website. 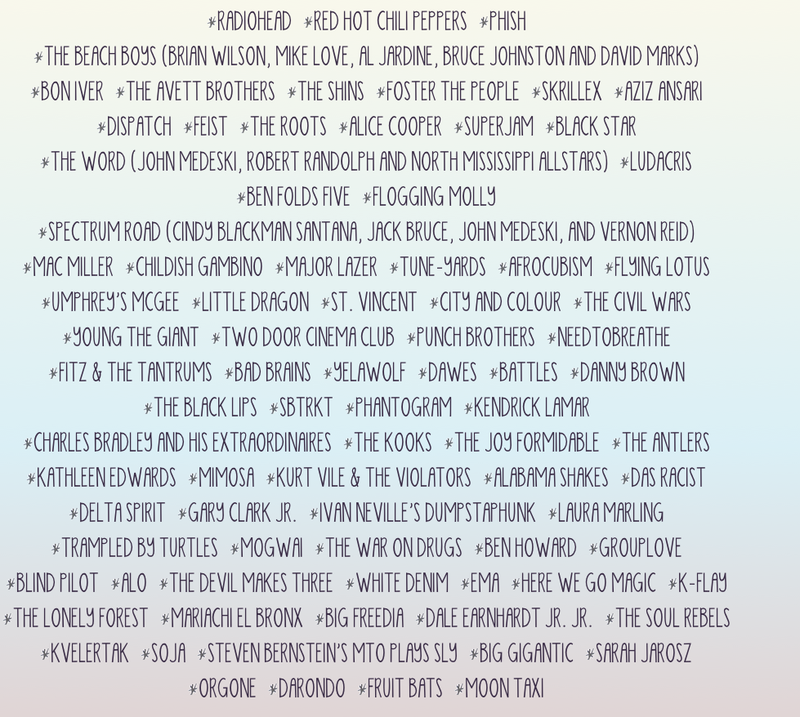 You can check out a full list of announced artists also on the official site or here at Jambands.com. Check out a bunch of last year’s shows over at archive.org, or YouTubes of the action here. As we turn the corner into February, let’s take a look at an exciting upcoming run of shows going down next month. 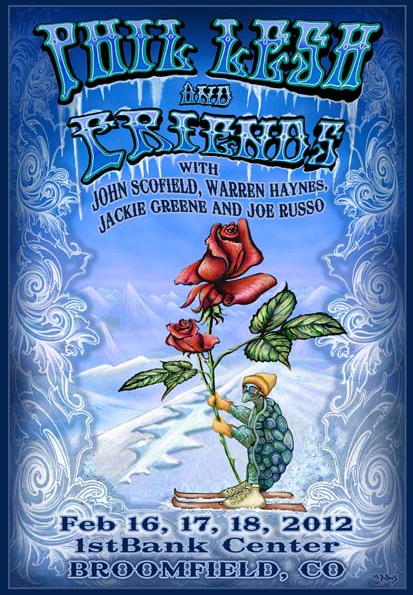 Phil Lesh will reunite Phil Lesh and Friends for the first real P&F shows since 2008. All the info that’s fit to print on these shows can be found below. Who: Phil Lesh and Friends, featuring Warren Haynes, John Scofield, and Jackie Greene on guitars, Jeff Chimenti on keys (just added today! ), Joe Russo on drums, and Phil Lesh on bass guitar. Tickets: Buy tickets through TicketHorse here. Lots of tickets left, doesn’t look like these shows will be selling out. What to Expect: Phil-heads everywhere (yours truly included) have very high expectations for these shows. This is an all-star band and the combination of Warren and Scofield is not something to miss. Expect high-energy, fast-paced, psychedelic versions of Dead classics, lots of covers, maybe some new Furthur cuts, a few Jackie Greene originals, and some surprises as well I’m sure. You can get tickets for the newly announced show at Ticketmaster. The APE presale begins this Thursday at 10AM (password is layover) and the public on sale begins on Friday, also at 10AM. The first show sold out lightning fast, so grab em’ while you can phans!